Lena Waithe just made her first-ever appearance at the Met Gala, and she did so in a very bold and bright way. This year’s theme is “Heavenly Bodies: Fashion and the Catholic Imagination,” and many attendees honored the night’s theme with papal inspired looks and style. 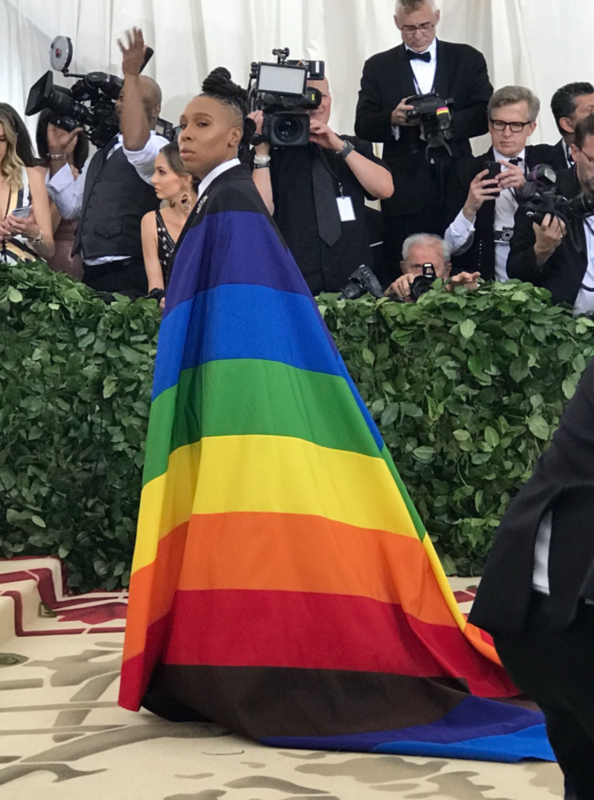 Waithe chose resistance over homage, donning a huge LGBT pride flag as a cape that is a queer political statement at its loudest. 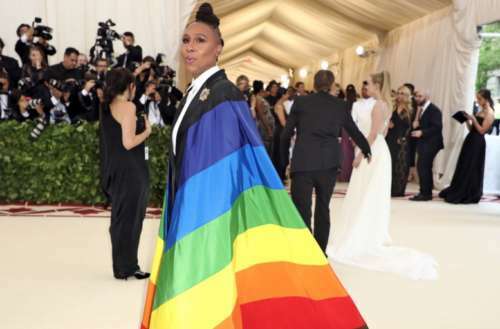 The Lena Waithe Met Gala look has met much praise on social media, with many people applauding the out actress and writer for taking a stand with her look. Waithe shared an image of herself on Instagram with the caption #MetBehavior, while fans on Twitter exploded over the look. “Ummm @LenaWaithe just snatched my soul at the #MetGala2018 given the theme this year….. amazing. Love it. I’m dead,” tweeted one person. “I love that @LenaWaithe was like, idc what the theme is the theme is gay pride thank you very much,” one person joked. The Roman Catholic church hasn’t been very accepting or inclusive of LGBTQ people. We ourselves felt weird fawning over the fabulous looks on the infamous stairs of the Met Gala, knowing that fashion’s biggest night out was honoring a historically anti-LGBTQ institution. But then Waithe showed up, stating exactly what needed to be put out there: we’re here, we’re queer and we’re not going anywhere. The statement made by the Lena Waithe Met Gala look is especially needed, now more than ever. Her decision to be so bold — to stand up for her community while many people would stand down for the sake of politically correct sanctity — is especially holy. We bow down to Lena Waithe. 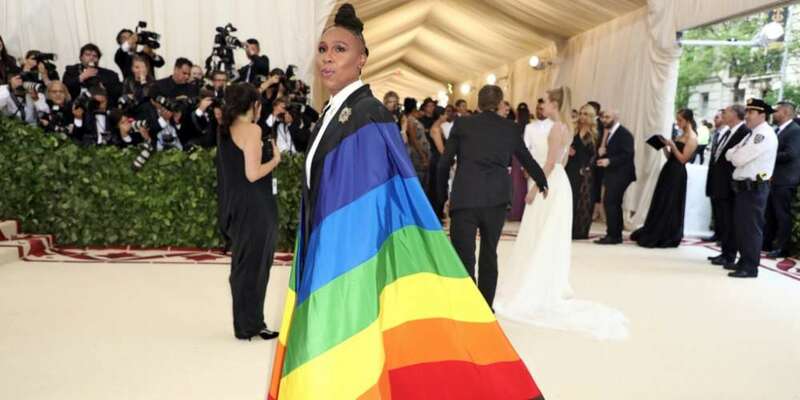 What do you think of the Lena Waithe Met Gala look? Sound off in the comments below and on Facebook.